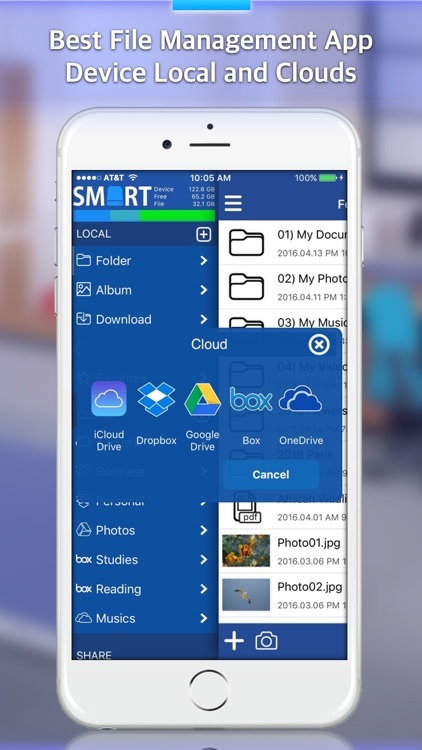 File Explorer is a wonderful local and cloud file manager that enables you to manage files on your mobil device. 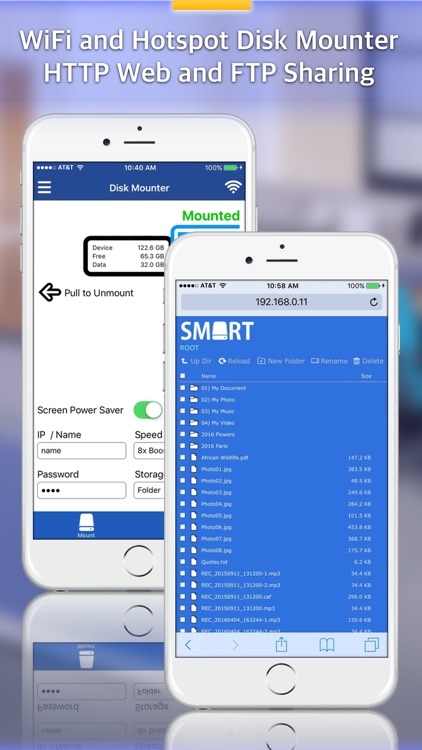 You can management your device files and cloud files. 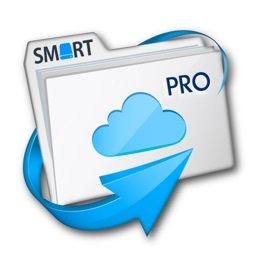 Supported iCloud Drive, Dropbox, Google Drive, Box, OneDrive. You can send cloud file shared link to your friend. 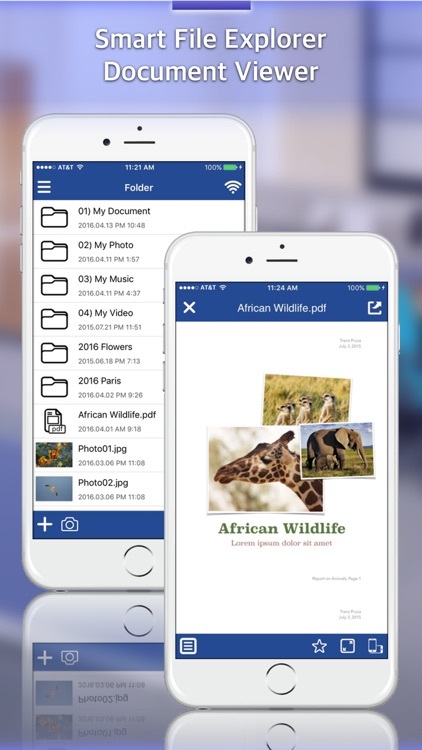 You can play the music, video files and read documents files, manage them and export them to your computer. 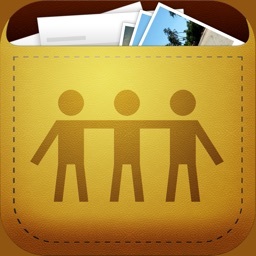 You can take new photo, video and voice files. 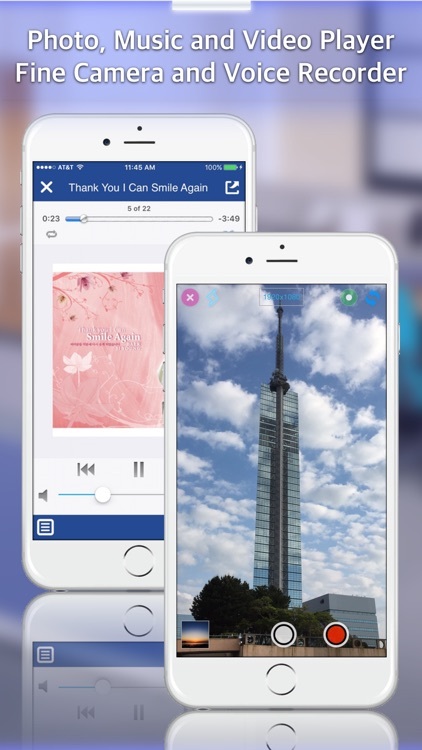 You can use video convert and audio convert. 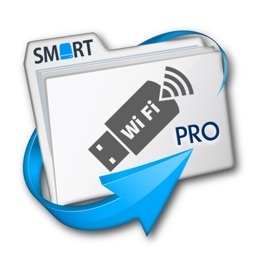 You can to do file sharing from your device with web sharing and ftp sharing via wifi network. If you input internet address, it opens the web page with built in Safari web browser. 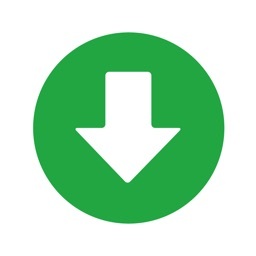 You can download any files linked from web sites. 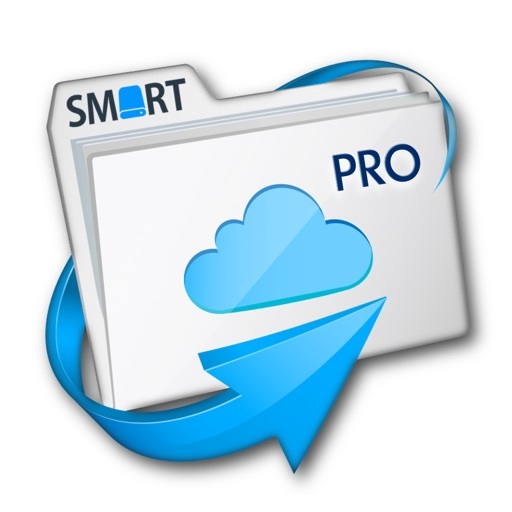 All apple devices and Window system that have iCloud Drive can synchronize all datas through Explorer App.